Very simply, we teach successful investing. We promise you will learn this skill-set and craft, although learning to trade successfully is not a discipline that can be absorbed in an afternoon. The learning curve requires attention and time to absorb and practice the skills learned. 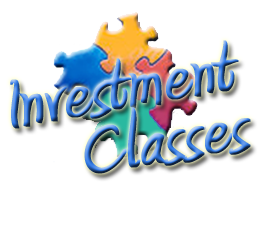 The investing course, classes, tools, and services that we provide are not found nor taught anywhere else on the planet. We are teaching you exactly what we do in our own investing accounts and sharing the experience we have gleaned from trading for the past 30 years. This education is not theory from a textbook; it is a practical hand’s on activity that will enable you to grow into a successful investor. The courses and training are not inexpensive, although they are a brilliant investment in yourself and your future earning power. This pricing product overview outlines our offerings. Our flagship course is a four class investing curriculum we call the Successful Stock Investor Course. It is made up of four (2) hour classes presented as online webinars with a “live” instructor in a fully interactive environment. This course is our complete stock investor education covering the all the details of the trade-desk skills required to run a successful stock investment account. You will learn the same approach we take in managing our example stock trading account know as the BlueSky Account. The BlueSky account has achieved a 46% annual average return since its inception in 2012. The course is a self-paced learning experience. You take the classes in order, planning them around your schedule. 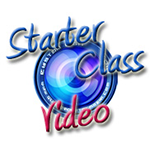 We recommend that you listen to the FREE online Starter Class as a good introduction to the topic. The Starter Class will give you a good sense of where you’re headed in learning this craft, as learning to trade stocks successfully is a very achievable goal. All of our courses include “free refills”, you may take the classes as many times as you wish within a two year time frame. There is much to learn about investing and many times working through a class the second time can be very insightful. This four class course is a complete education in successful stock trading. Running a successful stock trading account is a very achievable skill-set and a brilliant financial goal. It does require learning the trade-desk approach that professional traders have mastered. This skill set is a craft that anyone can learn and make their own with practice. We promise you will learn this skill and approach. This four day class is a primer in how the stock market and Wall Street really work and a hands-on step by step discipline to successfully investing in stocks. This course will teach you the method we have successfully used for years to consistently select and implement sound trades. Our example account, the BlueSky account is testament to our strategy with its average annual return of over 46%. After taking this course, you will also become a part of our growing family of investors that continue to learn and hone their skills through our many on-going support avenues. Also, your tuition allows you to repeat classes as many times as you wish to really get a feel for the nuances of this skill-set. . This six class course is a complete education in running an OptionsWest style covered call trading account. The EquiFund is our example covered call trading account that clients can follow as a learning tool. The EquiFund has achieved an average annual return of 46% since it began in 2009. The skill set you will learn in this course is the same approach we use manage the EquiFund. We promise you will learn this skill and approach. Covered calls are a very conservative options trade that is a great skill for any investor to master. The use of this skill can also enhance your success with a basic stock trading account. This course will teach you the method we have successfully used for years to consistently select and implement sound trades. After taking this course, you will also become a part of our growing family of investors that continue to learn and hone their skills through our many on-going support avenues. Also, your tuition allows you to repeat classes as many times as you wish to really get a feel for the nuances of this skill-set. This two day course is for experienced investors who would like to venture into the lucrative, yet risky world of options trading. Trading options can be a very satisfying skill to learn as long as the risks are understood and managed properly. This course if for investors who have the availability to trade full time and to be in a position to actively manage trades. After taking this course, you will also become a part of our growing family of investors that continue to learn and hone their skills through our many on-going support avenues. Also, your tuition allows you to repeat classes as many times as you wish to really get a feel for the nuances of this skill-set. Every client that completes one of our trading courses is now part of the OptionsWest family and included in our on-going support and continuing education avenues. Again, the support tools available for your investing are the invaluable OptionsWest Trading Service, along with our monthly online Super Session Trader meetings. Trade Tracker software is also a great support tool for helping investors stay on top of their stock trading account. For those managing a covered call account, TradeView software is the recommended tool for running a successful account with minimal time investment. The Trading Service gives you access to the member’s area of the website and all the reports and email alerts including the Daily Covered Call List. It is highly recommended that those taking a course subscribe. These live monthly on-line meetings are for members of the OptionsWest Trading Service. The meetings cover the weekly picture of the market and any specific topics that traders wish to discuss. The meetings last about an hour and are completely inter-active. Our Stock Tracking software, Trade Tracker, is included in your course tuition and is a great help and tool in learning and tracking your trades. Keeping a good record of your trades is highly recommended as an on-going educational tool that helps you become a better investor. This Stock Tracking log is required part of the course. A Tradeview Software license gives you the tool we use to design, track, trade, and manage our spread positions, like those in the EquiFund. Updates to TradeView are available as they are produced on the OptionsWest .ftp site. TradeView is required for the OptionsWest courses.